3 March 2017, Singapore – Following a highly-anticipated wait, developer Lendlease announced that Park Place Residences at Paya Lebar Quarter (PLQ) will be launched by 31 March 2017. 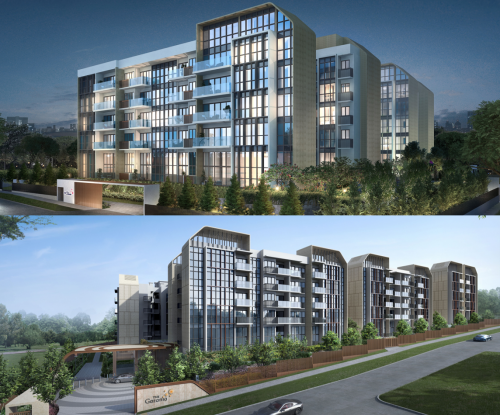 The condominium – part of a mixed-use development in the centrally-located Paya Lebar – marks Lendlease’s first foray into residential property in Singapore. Its location within PLQ is a strategic one, as PLQ is poised to be significant landmark in Paya Lebar Central. The latter was one of the first few areas earmarked by the Urban Redevelopment Authority (URA) in its 2008 Master Plan to be developed into a pedestrian-friendly commercial hub with a distinctive cultural identity. The Australian developer has close to 60 years of track record globally and operates across the core markets of Australia, Asia, the Americas and Europe. Park Place Residences at PLQ comprises a mix of 1- to 3-bedroom apartments spread across three towers. 117 of the 429-unit project will be 1-bedroom units, with an indicative price starting from $780,000. The size of these units will range from slightly under 500 square feet to 580 square feet. There will also be three types of 2-bedroom apartments and two types of 3-bedroom apartments. 2-bedders will range from 650 square feet, while 3-bedders will range from 1,080 square feet. 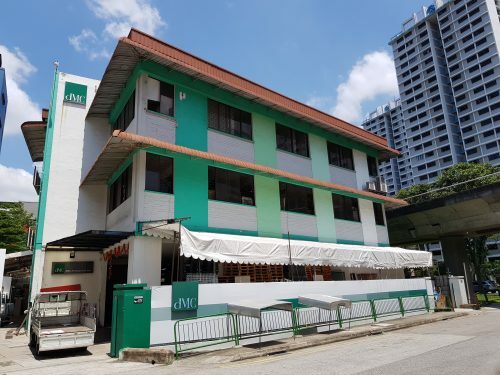 As the condominium is part of a mixed-use development located within a commercial zone, Lendlease is not subjected to the Additional Buyer’s Stamp Duty (ABSD) rules which require developers to sell all units in the development within a five-year period. 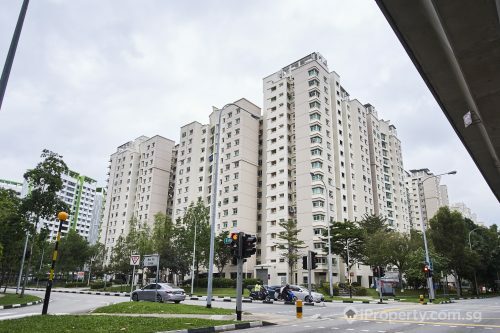 The 99-year leasehold development boasts of superb transport connectivity due to its strategic location at the Paya Lebar MRT Interchange. With this, residents will have easy accessibility to both the East-West Line and the Circle Line. In addition, the project will be a stone’s throw away from the Pan Island and Kallang-Paya Lebar Expressways, as well as East Coast Parkway. Its high connectedness will translate into a 10-minute ride to the Central Business District by both car and train. On top of transport accessibility, Park Place Residences at PLQ will also offer great convenience as it will be linked to the retail and office buildings via covered walkways and overhead bridges. With over 700 shops in the retail mall located a five-minute walk away, residents will be able to enjoy a myriad of shopping and dining options. Going beyond PLQ, there are also other retail malls in the vicinity such as Paya Lebar Square, Parkway Parade, and One KM. 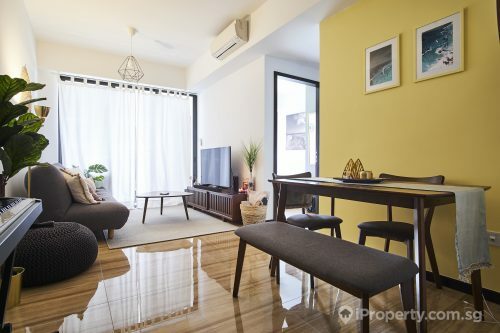 The condominium is also in close proximity to reputable schools such as Haig Girls’ School, Dunman High School, and Chung Cheng High School (Main). Park Place Residences at PLQ will feature three pools, including an aqua-therapy pool and a 50m lap pool. For people who love to host gatherings, a private dining room with an en-suite kitchenette within the clubhouse will be the perfect place for family and friends to come together. Following their meal, they will also be able to lounge at the entertainment suite. Yoga enthusiasts can also look forward to their own yoga deck and fountain just a lift ride away. Another key feature of the condominium is its lush green spaces which will offer residents a luxurious, private sanctuary within a bustling city precinct. In addition, the development has been awarded the Building and Construction Authority (BCA) Green Mark Award (Platinum). With this, residents can be assured of a sustainable environment that enhances comfort, health and well-building, as well as reduced utility bills through energy- and water-efficient designs. Park Place Residences at PLQ is expected to TOP in 2H 2020. More details of the condominium will be announced at a later date. We are known as 联实 in Chinese.